HONG KONG, Apr 27, 2018 - (ACN Newswire) - The 33rd Hong Kong Gifts & Premium Fair opened today at the Hong Kong Convention and Exhibition Centre. 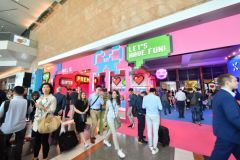 The four-day fair (27-30 April), organised by the HKTDC, features a record 4,360 exhibitors from 35 countries and regions, making it the world's largest fair of its kind. The 13th Hong Kong International Printing & Packaging Fair, held in parallel with the Gifts & Premium Fair, opened today at the AsiaWorld-Expo. Jointly organised by the HKTDC and CIEC Exhibition Company (HK) Ltd, the Printing & Packaging Fair showcases a wide spectrum of quality packaging and printing products and services. 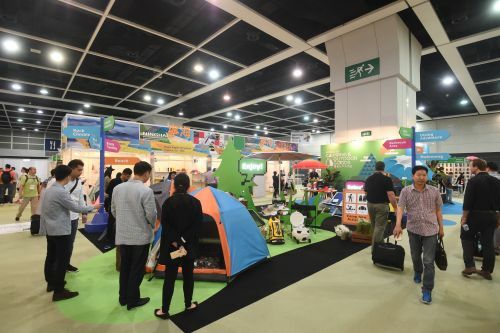 "The HKTDC launched the 'World of Camping & Outdoor Goods' Zone at this year's Gifts & Premium Fair in response to growing popularity of hiking and camping," said HKTDC Deputy Executive Director Benjamin Chau. "The zone features more than 90 exhibitors from around the world that offer a variety of professional and casual climbing packs, daypacks, diving goods, camping gear and sports items. 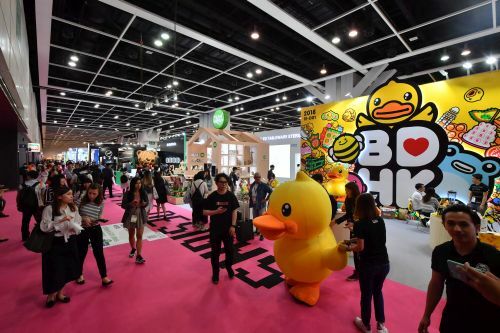 To generate greater business opportunity, the HKTDC invited more than 170 buying missions, comprising over 9,400 companies, to visit the Gifts & Premium Fair and Printing & Packaging Fair." Hong Kong has long been a cradle for entrepreneurs. Recognising the rise of entrepreneurial activities, the Startup Zone was launched last year at the Gifts & Premium Fair to encourage innovative ideas and entrepreneurial spirit, which is a driving force for the economy. Returning this year, the zone promotes more than 30 start-ups including first-time participants from Indonesia and Vietnam. Start-ups from around the world will be able to expand their networks and uncover business opportunities through the Fair. Hong Kong's gifts industry is renowned for outstanding design and excellent quality - a favourite highlight for buyers at the Fair. 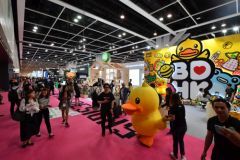 The Hong Kong Exporters' Association has set up four major zones, "Isle of Originality", "Brand Oasis", "Smart Design Village" and "Trendy Gifts", to show quality and premium gifts from Hong Kong companies to global buyers. To further underscore the strength of Hong Kong design, winning pieces from the Hong Kong Smart Design Awards are on display at the fairground. These include the functional anti-theft backpack, which won the Judge Award (Gold), and the bacteria cleaner key chain, which won the Technology Award (Bronze). As there is a growing awareness in the importance of brand effect, the "Hall of Fine Designs" is displaying more than 130 brands from local and overseas companies, including B.Duck from Hong Kong, Sanrio from Japan, German writing instruments' brand Kaweco and Italian stationery brand Moleskine. Besides the "Hall of Fine Designs", thematic zones are based on product categories to improve sourcing efficiency. Other main attractions range from the "World of Gift Ideas", "Beauty, Health & Wellness", "Fashion Accessories", "Figurines & Decorations" and "Licensed Gifts" to "Travel Goods & Umbrellas", "Startup Zone" and "Tech Gifts". 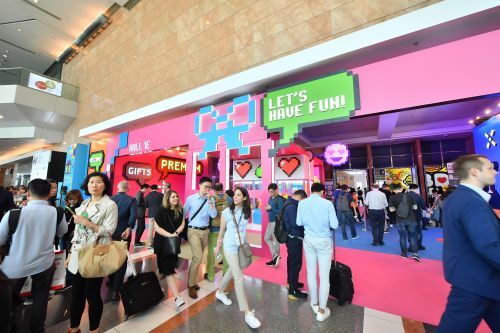 There are also group pavilions set up by different countries and regions, including the Chinese mainland, Korea, India, Italy, Taiwan, Thailand and the United Kingdom, which exhibit their own distinctive products. 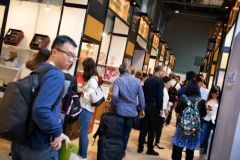 The 13th Hong Kong International Printing & Packaging Fair has attracted more than 480 exhibitors from six countries and regions. Pavilions representing the Graphic Arts Association of Hong Kong, Hunan and Shenyang from the Chinese mainland, and Korea made their debut this year, bringing an array of professional book printing and digital printing solution providers, as well as packaging design manufacturers and service providers. The market continues to attract customers through diverse product expositions, and this year the returning "Innovative Retail Display Solutions Zone" presents a wide array of exhibits and eye-catching marketing solutions. The "Printing & Packaging Solutions for Fashion & Accessories" zone is also back with state-of-the-art printing and packaging solutions for the fashion industry. The "De Luxe Zone" highlights a variety of high-end printing and packaging solutions catered for different products and service industries such as food & beverage, cosmetics, jewellery & watches, and general merchandise. Green Printing & Packaging Solutions zone covers added product categories, such as recyclable materials, sustainable products and services. Other thematic zones include Digital Printing & 3D Printing and Food & Beverage Packaging Solutions. Seminars at the Gifts & Premium Fair include "Top 5 Global Digital Consumer Trends in 2018", where the Global Head of Digital Consumer Research of Euromonitor International shares her market insights, the Director of Sales & Marketing at Pantone APAC will discuss how colours impact design, and the US's Promotional Products Association International will offer advice on capturing opportunities in the American market. Printing & Packaging Fair seminars include "How Hong Kong's Graphic Arts Industries Embrace the Cultural & Creative Opportunities in Greater Bay Areas" and "New Development and Application of Digital Printing". To help buyers access the fairs easily, free shuttle buses run between the HKCEC and the AsiaWorld-Expo at regular intervals.